By Mario Alexander on January 4, 2019. Baccarat is a game that is played around a large table whereby 12 to 14 participants can be seated around it. Seats are numbered that help to keep track of commissions and buy-ins as well as skipping number 13 as it is found to be unlucky as per most superstitions. It is played with a standard deck, 52 in number where six to eight are shuffled and placed inside a shoe. You can easily play baccarat with easy instructions and great graphics at 32red casino mobile. Among the cards placed inside the shoe, a cut card is placed below 16. When this card is drawn, it showcases the last hand of the show. Gamers can then make their wagers, and a two-card hand is dealt between the banker and the participant, one being dealt at a time. The two hands that are dealt with will determine the outcome of the wagers around the table. Totals are then compared, and certain drawing rules exist that help to determine whether a participant should be eligible for a third card. Totals are compared, and the outcome is determined. In this game aces are counted as one, Queens, Kings, Jacks and Tens are counted as 0; other cards from 2 to 9 are counted as their number value. Hence, the total hand values range from 0 to 9 as ten is subtracted from any number more than 9. With a score of 4-9-3, the total of 16 is interpreted as 6 and so on. The winning hand has to be chosen, either that of the banker or the gamer which is the object of the game and the highest total that a banker or participant hands has to get is 9. The first hand that is acted upon is the gamer’s hand. The two cards are first turned over, and the dealer is called out the total. The banker’s hand is then exposed, and the total can be anywhere between 6 and 9 where the gamer stands. If there is a total of 8 or 9 then it is called natural and an automatic winner against the hand of the Banker except if the latter gets 8 or 9. If the hands are a tie, a push is declared. Whoever has 9 against the other is a winner. When the first two, that the gamer has, comprise of numbers 6, 7, 8, 9, they can stand; in case of lower totals the participant can hit and seek out a single card after which the game is finished. In case of the banker’s strategies, he/she will stand when the two in a hand total values 7, 8, 9. If the totals are values like 0 to 3, the banker will hit and seek another one; he /she will also seek another card if the totals are 4, 5, 6 which would depend on the total of the participant. These aspects are all taken care of by the dealer, and gamers don’t need to memorise all the rules. 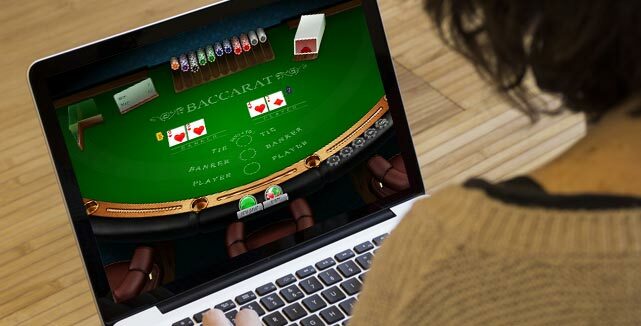 There are certain tips and strategies that customers can consider when they are playing Baccarat. Banker acts as the last resort which gives this position a slight edge compared to participants. The banker also has the lowest edge in the house as per any bets placed in a casino. Also, the tie bet is a fun one to choose, but this comes with a house edge that will knock out most profits. Some casinos offer 9 to 1 when a tie bet is chosen which helps to reduce the house edge from 14 per cent to 4 per cent. Casinos offer customers outcome pads with which they can track trends of the game. The participant, as well as banker, has odds that are similar to winning. Hence, the streaks are long in this game as compared to other table card games like craps or blackjack. A certain rule of thumb is also followed whereby, if wins appear for the gamer, then bets should be placed on this hand. This should be done when the participant's hand is making steady wins; changes should be made only when the game seems to make a turn. This strategy is known to work when the 1-3-2-4 system is used. In this strategy, the bet sizes are varied in order to get back losses from earlier rounds. In this strategy, one unit is placed in the first round, three in the second round and so on. If losses are encountered, then one goes back to the first unit again. The above points showcase the essential rules of Baccarat and the betting strategies that are usually followed by customers. To get started, log in to a reliable casino online and start to play the demo version of this interesting card game. Mass Effect Trilogy Review: Best RPG Of All Time?